Outside of Brighton is Ditchling Beacon, a hill with 360 degree views. It was used as the site of one of the chain of “beacons,” lit huge bonfires, to warn of invasion of the Spanish Armada in 1588. From there we walked along South Down Way for six miles. The English Channel on the far left while scattered hamlets were on the far right. Between the two were the rolling hills called Downs with the ubiquitous English sheep. The walk ended at Devil’s Dyke England’s largest dry valley and a half-pint of bitters at our distinction pub. 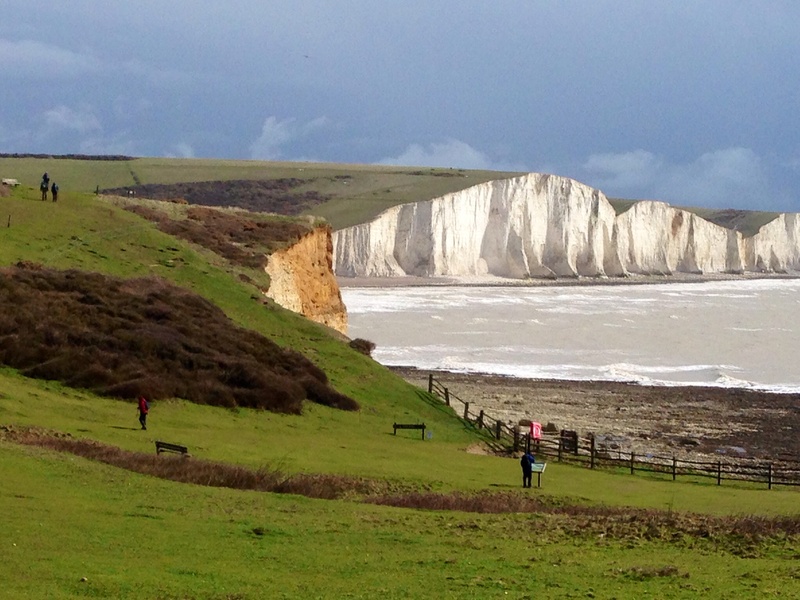 We began our 12 mile walk east of Brighton at Seaford along the chalk hill coast to Eastbourne. It is described as a strenuous walk climbing up and down seven hill used by ship captains for navigation. With no more than lunch an d water in our packs, the walk was delightful. However with 26 mph winds. Joanna was actuallly tipped over on one promenade. Concurrently there was a 33, 26.2, and 10 mile foot race along our route. Unfortunately for them, it was a head wind. A splendid walk with views similar the white cliffs of Dover. Fish and chips finished the our day. 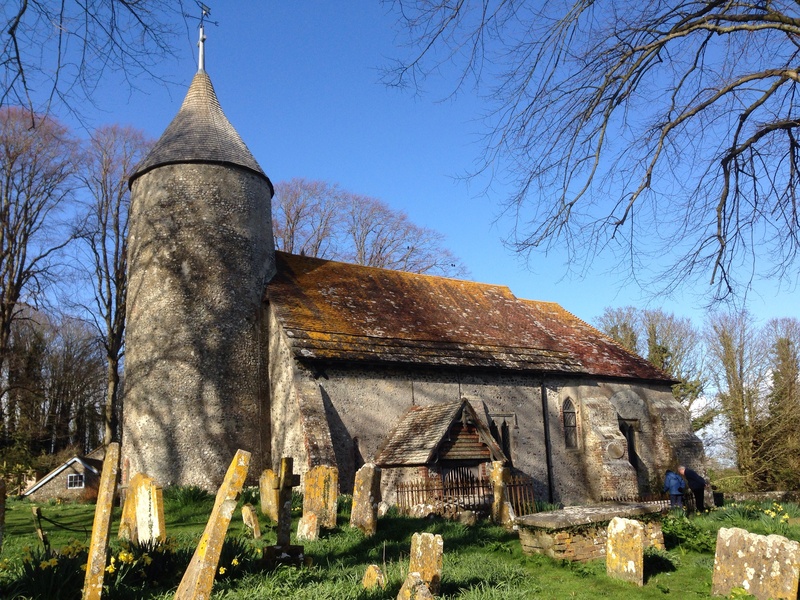 Church is down the lane from Virginia Woolf’s home, Monk’s House, in Rodmell. 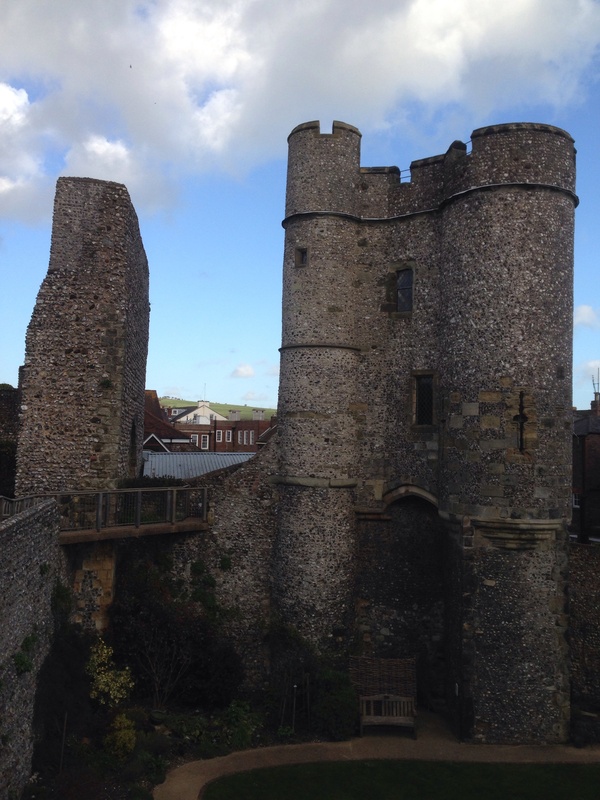 Visited a castle in Lewes with two mottes, man made earth hills to increase views.